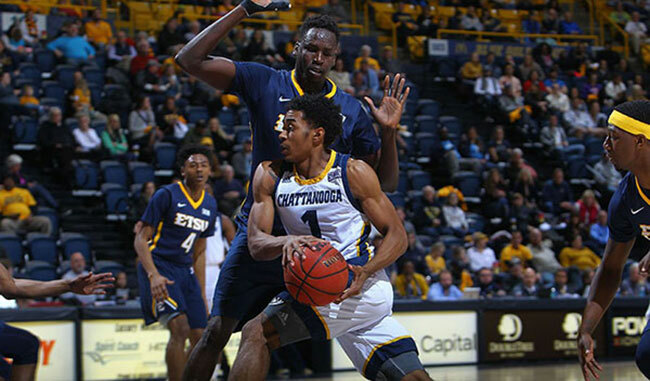 After a big come from behind victory on Saturday versus Mercer, the ETSU basketball team now sits atop the Socon standings as the only undefeated team at 3-0. The Bucs will look to continue their great play with a huge game against UNC-Greensboro on Thursday night. I’ll join the athletic departments request to #FillFreedom on Thursday night! The Spartans will come into Johnson City with a 12-5 overall record and 3-1 in the Socon with a big win over Chattanooga last week. I expect this to be an exciting game that comes down to the wire. Both games against UNCG last year ended with ETSU hitting a last second shot to win in Johnson City and with ETSU closing the game on an 8-0 run against the Spartans in Greensboro for the win. Come out and #FillFreedom on Thursday night!